Lionel Messi's dancing moves were captured in a video. 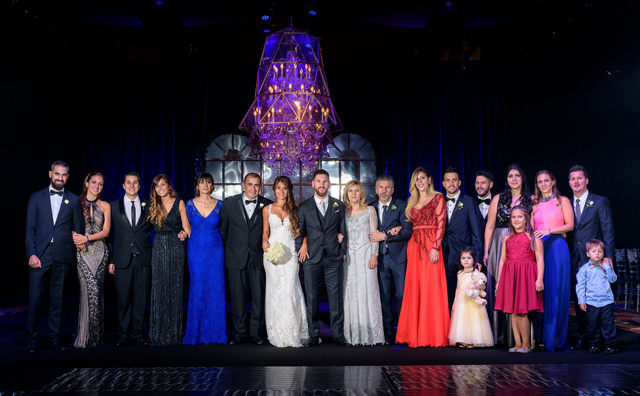 Lionel Messi said "I do" to childhood sweetheart and mother of their two children Antonella Roccuzzo on Friday in his Argentine hometown Rosario, where footballers and celebrities gathered for the "wedding of the century." The couple's children Thiago, four, and Mateo, one, had front seats at the ceremony attended by some 260 guests, including Shakira and her husband, Messi's teammate Gerard Pique, and numerous footballers such as Messi's Barcelona strike partners Neymar and Luis Suarez. 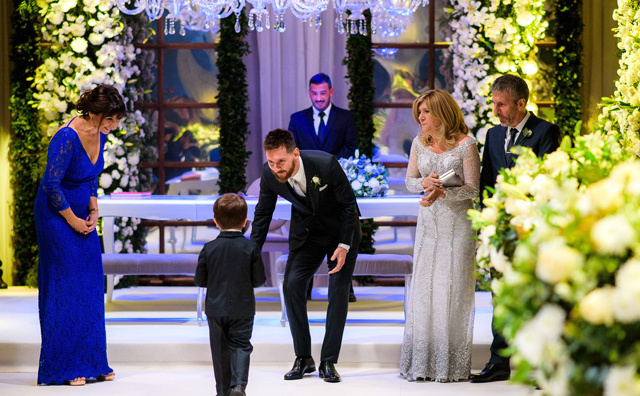 Argentine media called it the "wedding of the century" for Rosario, the gritty northern port city where Messi, 30, and his bride, 29, met when the player was nine years old.